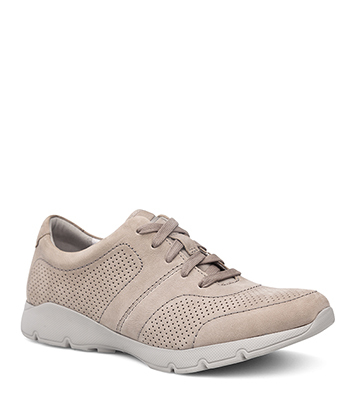 The Dansko Taupe Milled Nubuck from the Alissa collection. Step in style with the Alissa! Stain and odor-protected and built with strobel construction, this shoe is both supportive and comfortable.